At Cliff Barackman's Official Blog, he has posted the newest video debrief from the Canadian episode. Click the following link to read his Cliff's Field Notes from the episode. As you long-time fans know, we have an unhealthy obsession with Todd Standing, and since his "evidence" was showcased in the Canadian episode we begged to be in on the Video Debrief. Cliff and Craig were nice enough to oblige. As usual Cliff does a terrific job breaking down the pragmatic approach to Bigfooting, and Craig Flipy does a terrific job as a Videographer/Editor. 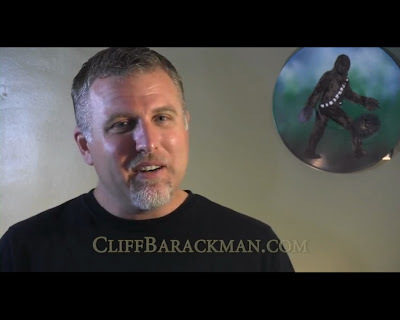 Enjoy the video below, while you are at it, catch up with the previous Video Debriefs and the Field Notes on Cliff Barackman's Official Blog NorthAmericanBigfoot.com.